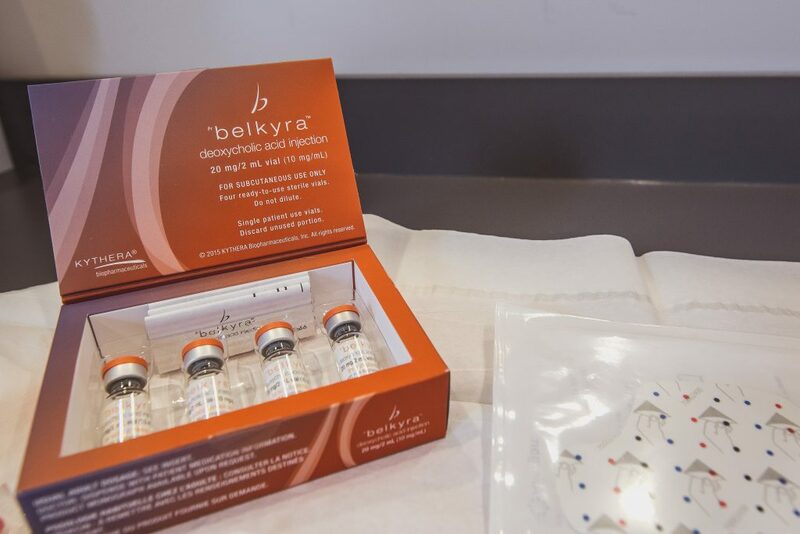 Belkyra is the first and only injectable treatment that targets and permanently eliminates fat cells below the chin with no surgery required. Many people treated with Belkyra experience visible improvement in the appearance of their chin profile in just 2 to 4 treatments (spaced 4-6 weeks apart); up to 6 treatments may be administered. If you are concerned with the appearance of a double chin, book in for a free consultation with Dr. Olesen to learn about all of your treatment options. A single Belkyra treatment usually takes 15 to 20 minutes. 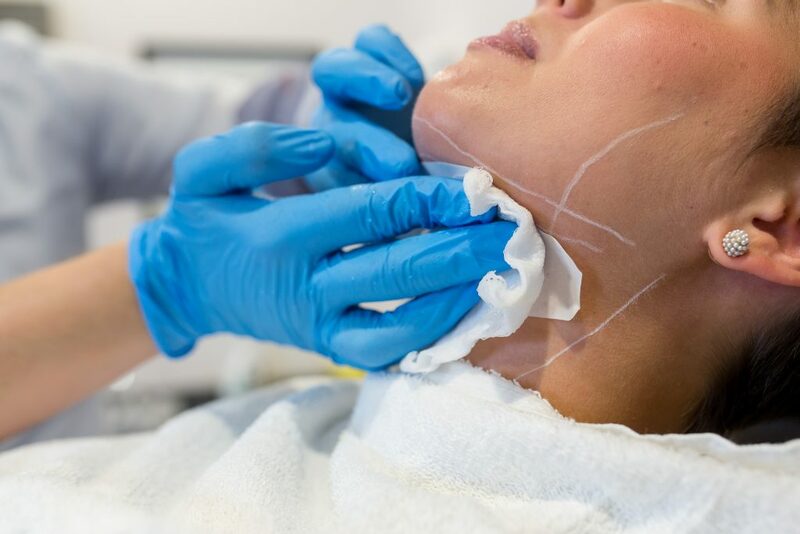 Dr. Olesen will place a temporary injection grid over the area and then administer a series of injections into the area under your chin (within the pre-platysmal fat). Many patients treated with Belkyra experience visible improvement of their chin profile in 2 to 4 treatments. 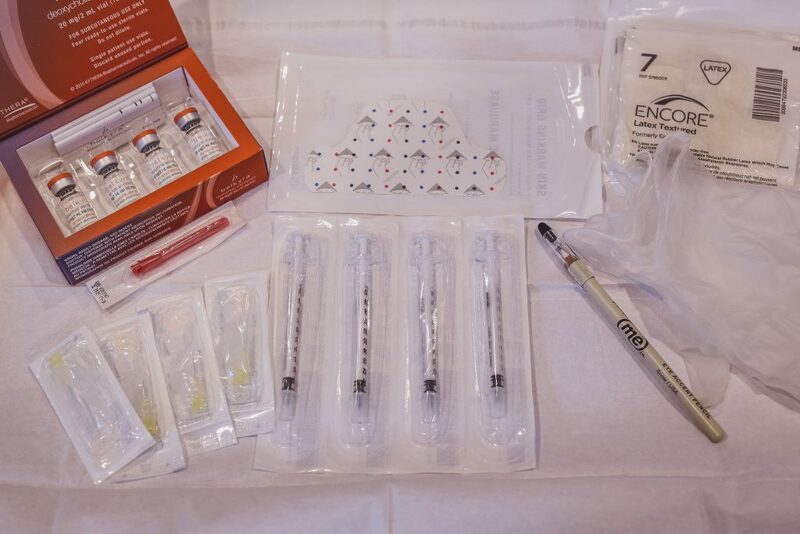 Some individuals may require up to 6 treatments in order to achieve their best results. Once your desired result are achieved, additional treatments are not needed. Yes. Swelling and bruising are very common for this procedure and it is therefore advisable to plan for 2-3 days of social down time. What are the risks and possible side effects? 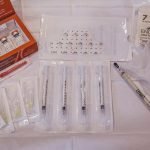 Nerve Injury: BELKYRA™ injections may cause nerve injury in the area of the jaw resulting in an uneven smile or facial muscle or weakness (4%). In clinical trials, these all resolved without treatment in an average of 6 weeks. 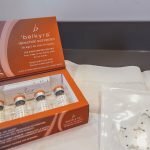 Swallowing: BELKYRA™ injections may temporarily cause trouble swallowing (2%). Skin Ulceration: BELKYRA™ injections may cause superficial skin erosions. Alopecia: BELKYRA™ injections may cause small patches of hair loss in the treatment area. treatment session will only take 15 to 20 minutes and afterwards, he will instruct you to intermittently ice the area over the course of the evening. 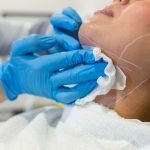 Get Ready to Sculpt Your Jawline! 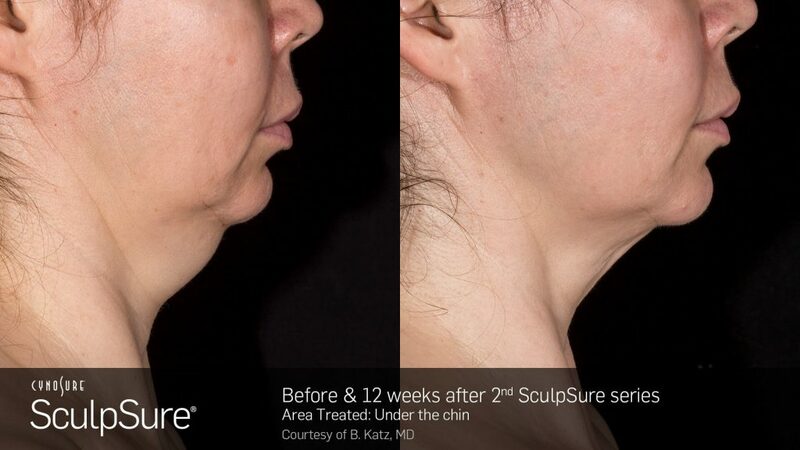 Now available at Hemingway: SculpSure Submental offers a new and innovative way to sculpt and define the chin area in just 25 minutes with no downtime and natural looking results. Treatment plans are customized to your desired results. Treatment plans are customized to your desired results. 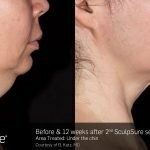 ARE SCULPSURE TREATMENTS FOR UNDER THE CHIN RIGHT FOR ME? 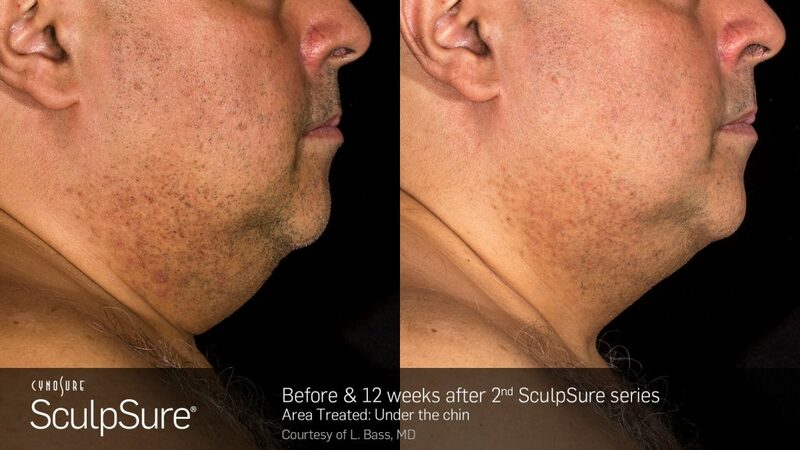 SculpSure is ideal for people with stubborn fat under the chin, particularly those that seem resistant to dieting. Every patient is different. Most patients see the best results when they have a series of treatments. Dr. Olesen and his team will be able to advise on the treatment plan that is right for you. Most patients feel intervals of moderate heat and relief intermittently throughout the treatment, which is generally well-tolerated.